Today after I started Windows Bsod appears, I have run anti virus scans(avast! Free Antivirus), which found nothing. Does anyone have any idea what my problem could be? A third party driver was identified as the probable root cause of this system error. It is suggested you look for an update for the following driver: sptd.sys . Since my last post i uninstall sptd.sys using (SPTDinst-v179-x86.exe) and problems with BSOD where solved. i scan my computer with DDS but when i try to scan with GMER i get another BSOD (i used Defogger to disable CD emulation). i will try to run scan with aswMBR. I dont see anything in your log to indicate and infection. Let go ahead and run a couple of tools and see what they find. Hi fireman4it thanks for your help with my problems. I run scan with these two programs (TDSSKiller, ComboFix),I also run quick scan with aswMBR and luckily BSOD did not appear. All 3 scan logs (TDSSKiller, ComboFix, aswMBR) are in attachment. Hi fireman4it, today after my last post i rollback Windows updates and then perform scan with GMER everything was god no BSOD and here is report in attachments. Is there a way to check whether the atapi.sys is infected or not. What do you mean rollback Windows updates?Please don't make any changes other than I suggest until we get you all cleaned up. Atapi is not infected I do believe, but we will check it anyway. When the jotti page has finished loading, click the Browse button and navigate to the following file and click Submit. Please post back the results of the scan in your next post. We need to check your hard disk for errors. Click start and then My Computer. Right click the drive C and select Properties. Put a check mark in both items and press start. If you get a message click Yes to schedule the disk check and click OK and then restart your computer to start the disk check. Please be patient and let the system run. In some cases it might take a couple of hours and you don't have to sit there the whole time. *NOTE: This scan could take along time to complete, but let it finish. Last windows updates where installed 11-25-2011 so I uninstall all updates from that day. All logs are in attachments. I dont have any more BSODs problems with my machine, all problems seems to gone after i uninstall windows updates. If you receive an attachment and it ends with a .exe, .com, .bat, or .pif do not open the attachment unless you know for a fact that it is clean. For the casual computer user, you will almost never receive a valid attachment of this type. There are also programs that disguise themselves as Anti-Spyware or security products but are instead scams. Removal instructions for a lot of these "rogues" can be found here. 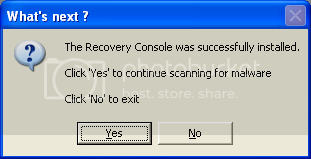 Another tactic to fool you on the web is when a site displays a popup that looks like a normal Windows message or alert. When you click on them, though, they instead bring you to another site that is trying to push a product on you, or will download a file to your PC without your knowledge. You can check to see if it's a real alert by right-clicking on the window. If there is a menu that comes up saying Add to Favorites... you know it's a fake. DO NOT click on these windows, instead close them by finding the open window on your Taskbar, right click and chose close. When using an Instant Messaging program be cautious about clicking on links people send to you. It is not uncommon for infections to send a message to everyone in the infected person's contact list that contains a link to an infection. Instead when you receive a message that contains a link you should message back to the person asking if it is legit. Sometimes even legitimate programs will try to bundle extra, unwanted, software with the program you want - this is done to raise money for the program. Be sure to untick any boxes which may indicate that other programs will be downloaded. You should visit Windows Update to check for the latest updates to your system. The latest service pack (SP3) can be obtained directly from Microsoft here. You should run the Windows Update program from your start menu to access the latest updates to your operating system (information can be found here). The latest service pack (SP2) can be obtained directly from Microsoft here. Recommended, and free, Anti-Malware programs are Malwarebytes Anti-Malware and SuperAntiSpyware. Thanks for your help, everything is fine now.